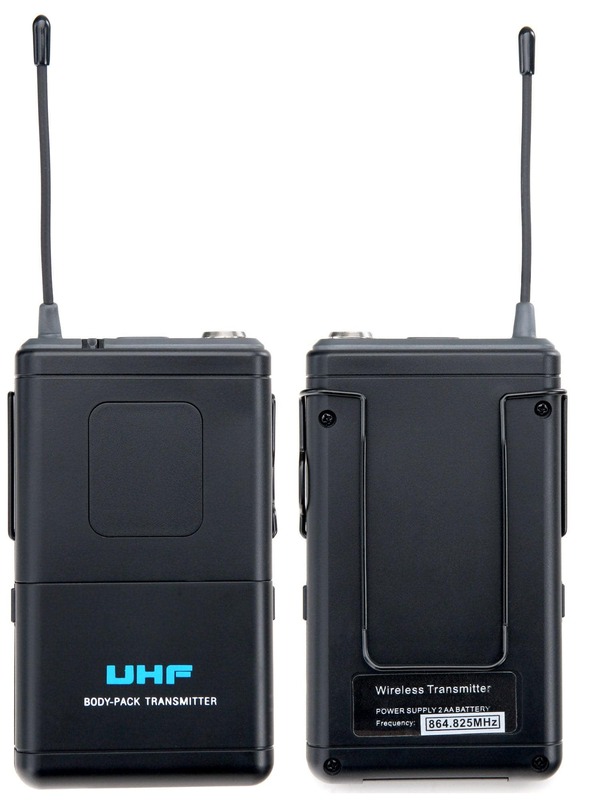 The UHF-2V2I Quad Wireless Microphone set comes with 2 hand-held microphones, 2 lapel microphones, and a 4-channel receiver. Thus, it is very versatile and very well suited for larger events. 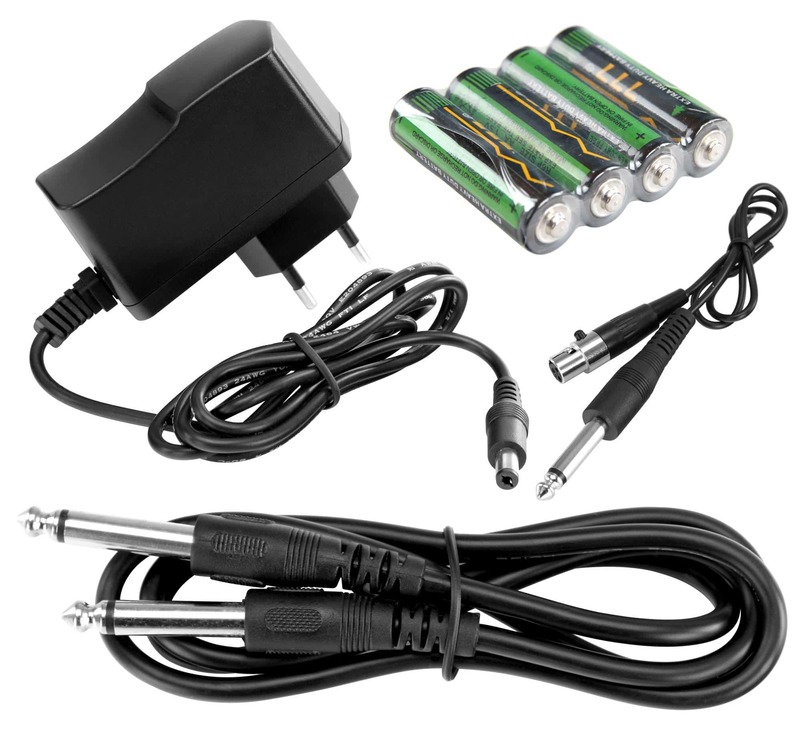 This set meets all the practical demands of everyday events and impresses with its wireless range of 50 meters. This allows performers to interact more with their audiences. Looking for a great handheld microphone for moderation and speaking? We have you covered. Just attach the lapel microphone and go! 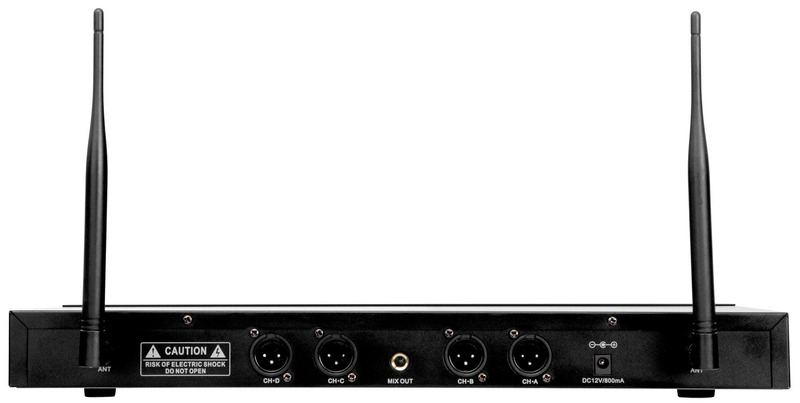 Looking for a powerful and versatile dynamic singing microphone? 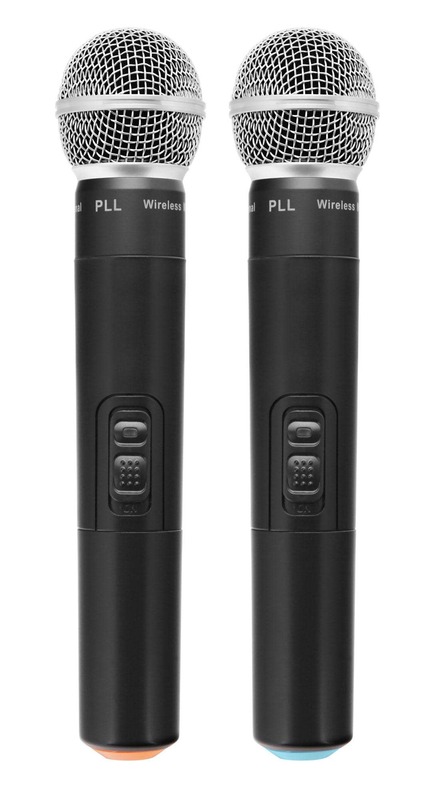 You've come to the right place with this vocal optimized wireless microphone. Even operating four simultaneous channels is no problem. 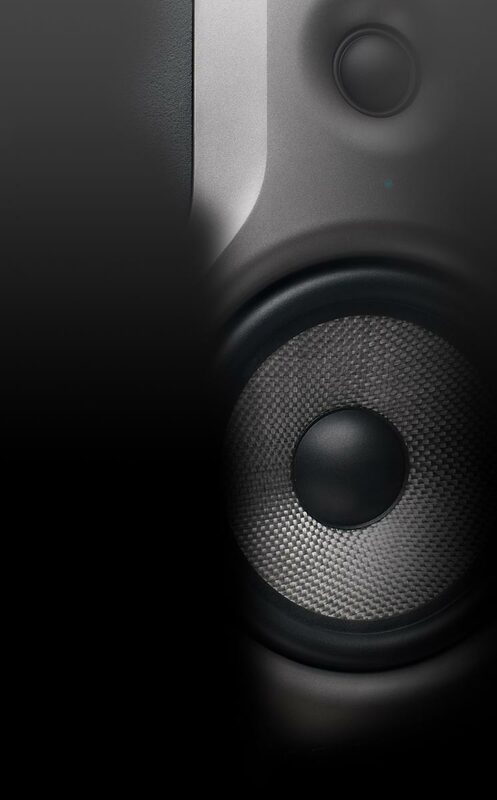 With XLR and 6.3-mm jack outputs, the wireless system can easily be integrated into all conventional audio setups. Thanks to the energy-efficient design of the UHF-2V2I Quad Set, it has a battery life of about 8 hours and is especially suitable for full-length events. 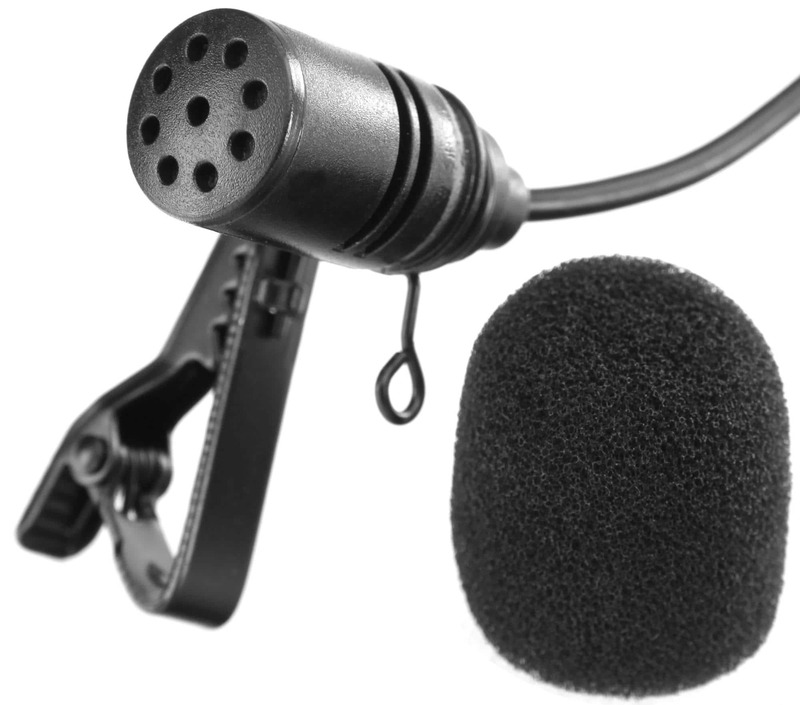 A matching bodypack is supplied with each lapel microphone – and each lapel has a practical clip that can easily be attached to a belt or clothing. 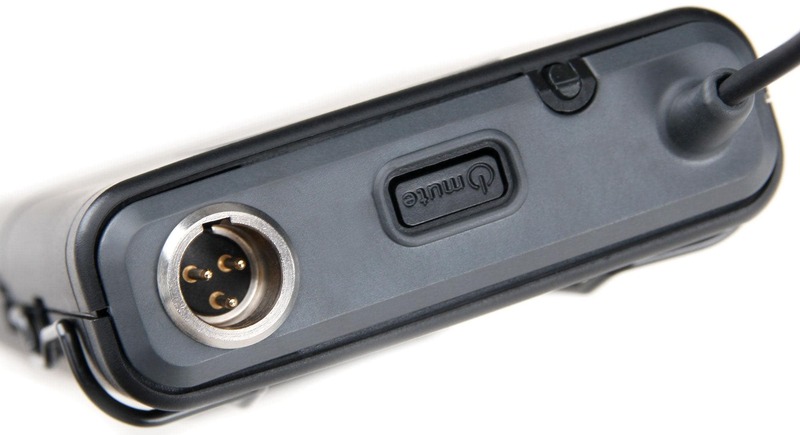 The bodypack transmitter can also be used with instruments with the supplied mini-XLR to jack cables. Die Bearbeitung meiner Bestellung und der Versand erfolgte sehr zügig und schnell, ich war echt überrascht und möchte mich beim gesamten Team sehr herzlich bedanken. Das Mikrofon-Set war sehr gut verpackt, alles funktionierte einwandfrei. Ich bin von dem Produkt sehr begeistert, für Einsteiger reicht das Set allemal, die Bedienung ist kinderleicht. Es empfiehlt sich die Lavaliermikrofone recht nah am Mund zu plazieren, dann ist der gesamte Frequentbereich in guter Qualität hörbar. Inizialmente avevo qualche timore ma devo dire che i microfoni sono professionali, veramente molto beli e non hanno nulla da inviare ad altri che costano il doppio. Acquisterò ancora da questa azienda che è seria e molto precisa anche nella consegna. Se devo dare un giudizio non posso che dire OTTIMO. Prodotto buono. Il servizio di kirstein merita piu' di 10 e lode!!!! Il prodotto nel complesso e' buono, magari non proprio adatto ad un uso professionale. Tuttavia bisogna tener conto del prezzo e pertanto nel rapporto qualita'/prezzo non ha rivali. Voglio spendere due parole per il sevizio di Kirstein. LO REPUTO IN ASSOLUTO UNO DEI MIGLIORI DEL WEB E IL MIGLIORE NEL PANORAMA MUSICALE. Wir haben uns den Luxus gegönnt mehr "Beinfreiheit" zu haben und nicht über Kabel zu fallen. Für diesen Preis bekommt man hier konkurrenzlos viel. Der Sound ist sauber. Ich kann es vor allem für vielseitige Einsätze sehr empfehlen.